At a 1990 history symposium held in Ankara, Turkey, Professor Justin McCarthy revealed the existence of a report by two Americans about the situation in eastern Anatolia following World War I. 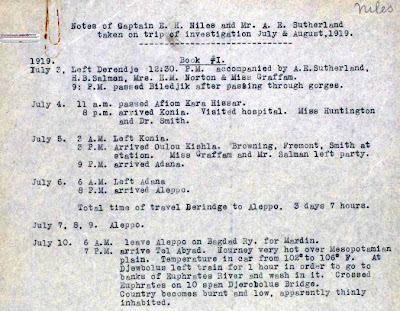 Between 14 July and 12 August 1919, Emory Niles and Arthur Sutherland, who were in the service of the aid organization The American Committee for Relief in the Near East (ACRNE), traveled from Mardin to Trabzon, by way of Bitlis, Van, and Erzurum, to determine local relief needs and how ACRNE could fulfill them. Apparently, they were the first Americans to enter this area of Turkey after the war, near the Ottoman Empire’s frontier with Iran and the Democratic Republic of Armenia in Transcaucasia. 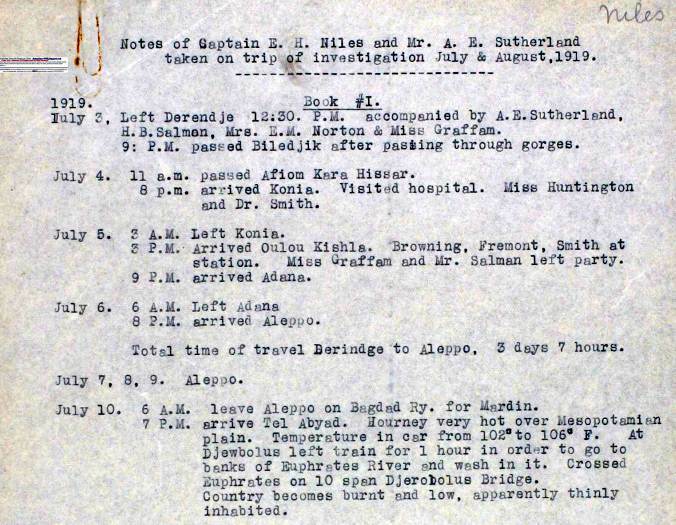 2 —a survey expedition sent by the US government to Anatolia and the South Caucasus in September 1919 to investigate the possibilities for an American mandate over the region and the establishment of an Armenian state that would encompass parts of eastern Turkey. Led by Major General James G. Harbord and composed primarily of US military officers, the group traveled from Mardin to . . .